Price Tickets start at $15* for Thursday/Friday shows. Tickets start at $20* for Saturday/Sunday shows. 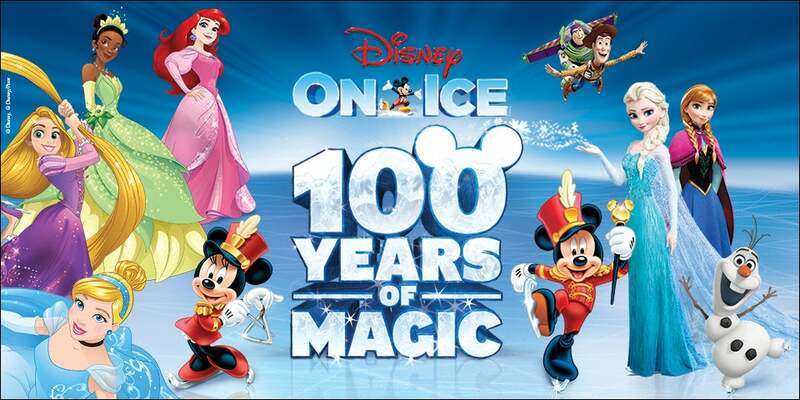 Disney on Ice presents 100 Years of Magic comes to Enterprise Center January 31 - February 3! Grab your Mickey ears and get ready for the ultimate Disney experience at Disney On Ice celebrates 100 Years of Magic and skates into St. Louis. Be charmed by a cast of over 50 unforgettable Disney characters, with Mouse-ter of Ceremonies Mickey Mouse, his sweetheart Minnie Mouse, Donald Duck, Goofy and many of the Disney Princesses including Cinderella, Rapunzel, Ariel, Snow White and Tiana. Relive the magic of Disney’s Frozen with Anna, Elsa and the hilarious Olaf as they discover that true love is the greatest magic of all. Sing-along to over 30 unforgettable songs including favorites like “Let It Go,” “You’ve Got a Friend in Me,” and “Hakuna Matata.” Be thrilled by exciting moments from Disney•Pixar’s Toy Story, Finding Dory, Disney’s The Lion King, Beauty and the Beast, Aladdin and more, leaving the whole family captivated with memories that will last a lifetime. The skating spectacular of the century truly is Disney On Ice celebrates 100 Years of Magic! These groups listed above can save off of box office price. All facility fees are included in these prices. Please call 314-622-5454 to order your tickets.